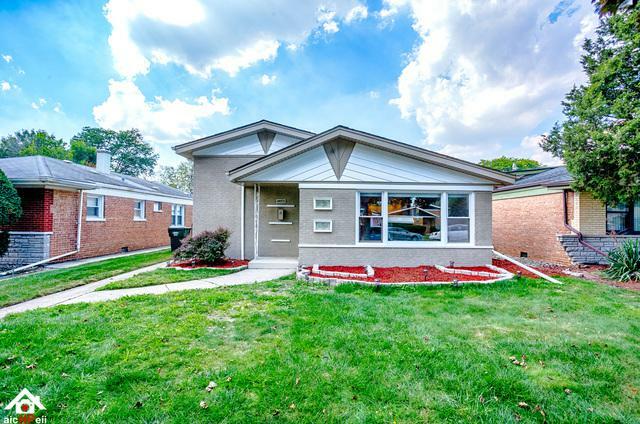 No upgrade opportunity or improvement was spared during the rehab of this multi-level Dolton dwelling. 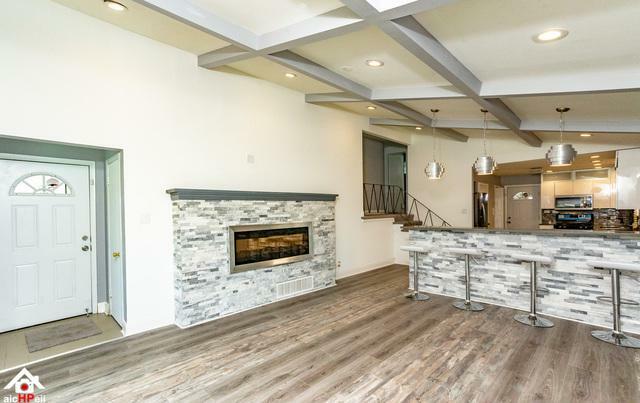 This home speaks to the entertainer in you as a home owner with the oversized fireplace and kitchen bar for gatherings. The vaulted coffer ceiling aids in the open and airy flow of the house from the living room to the kitchen complete with european cabinets and your second level. 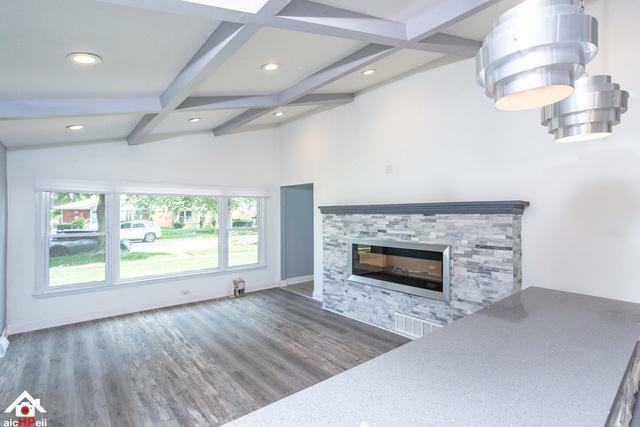 Not only is this home spacious enough for all types of festivities, but you can relax in your private dry sauna and enclosed porch. 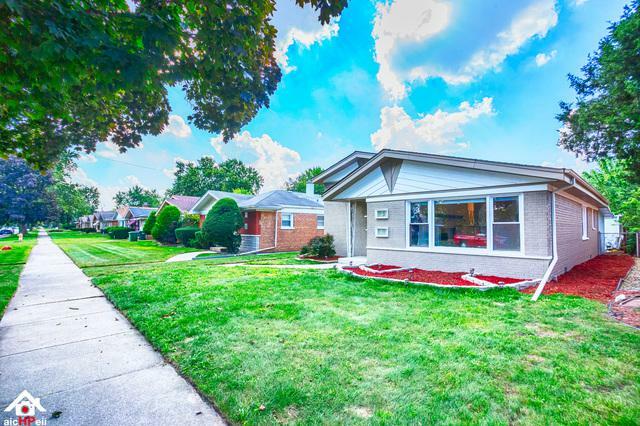 With a good sized fenced yard and 2.5 detached garage, this home has everything.